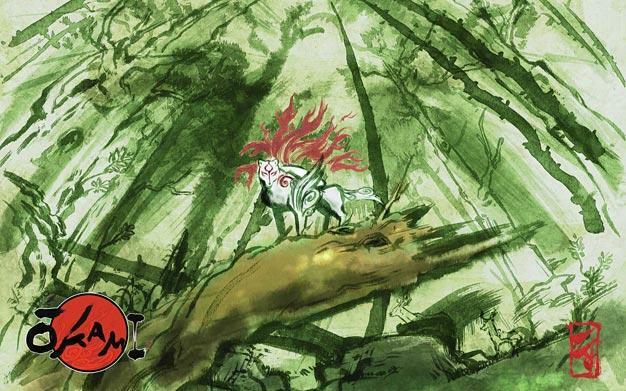 Everyone’s favorite Japanese-white-wolf-celestial-paintbrush-god, Amaterasu aka Okami, could be returning to save the day again. Siliconera has reported that Capcom has filed a trademark in Japan and now owns the rights to the word “Okamiden“. This word doesn’t exactly have a real meaning or translation, but it could be a mashup of Okami Densetsu or Okami Gaiden. If you have no experience with the Japanese language and game titles, those words usually indicate sequel-hood. Currently there has been no formal announcement for a new game. The Wii version of Okami that came out last year in the States will be hitting Japan this coming October. If there is a sequel, I’d bet it would be announced sometime after that release.